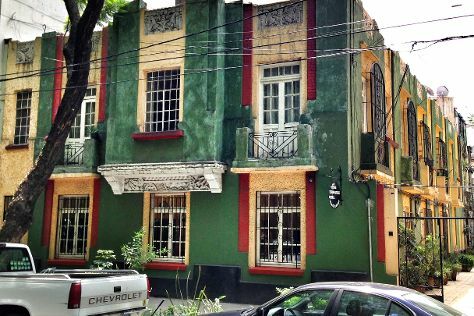 Do some cultural sightseeing at La Condesa and Frida Kahlo Museum. Take a break from the city and head to Chapultepec Park and Issstehuixtla. Explore Mexico City's surroundings by going to Nevado de Toluca / Xinantecatl (in Toluca), Tepozteco (in Tepoztlan) and Zona Arqueologica Teotihuacan (in San Juan Teotihuacan). There's much more to do: admire the masterpieces at Palacio de Bellas Artes, look for all kinds of wild species at Zoologico Los Coyotes, explore the historical opulence of Chapultepec Castle, and delve into the lush surroundings at Bosque de Chapultepec. To find traveler tips, reviews, ratings, and more tourist information, read Mexico City journey maker website . If you are flying in from Canada, the closest major airports are Licenciado Benito Juarez International Airport, Querétaro Intercontinental Airport and General Francisco J. Mujica International Airport. October in Mexico City sees daily highs of 26°C and lows of 14°C at night. Cap off your sightseeing on the 4th (Sun) early enough to travel back home.